No One Gets The Tour De France Titles Lance Armstrong Lost : The Two-Way While acknowledging that the decision "might appear harsh for those who rode clean," the International Cycling Union decided that there would be "little honor" for any cyclist who stood to gain because of the doping scandal that cost Lance Armstrong his seven victories. 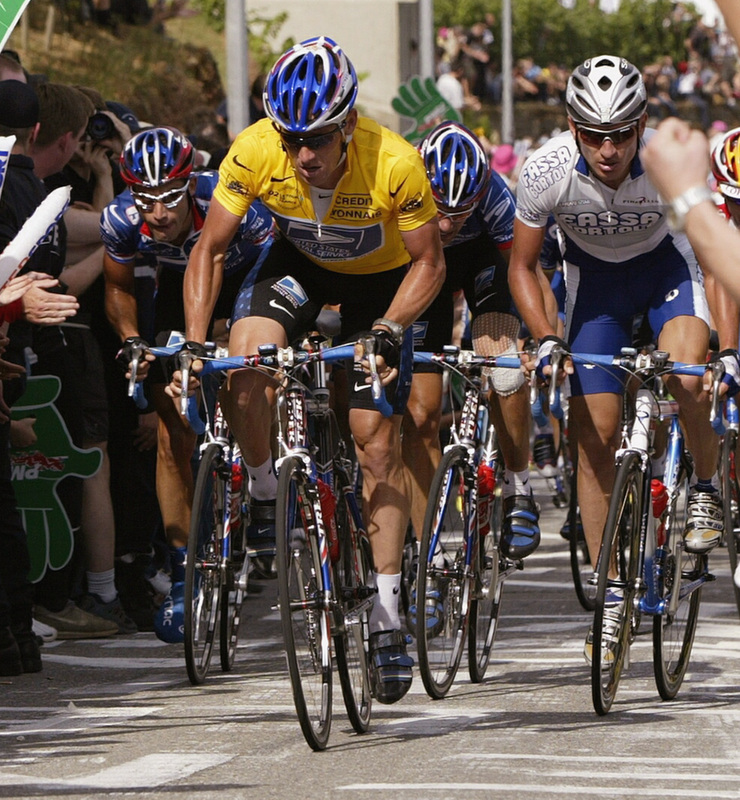 Lance Armstrong, in the yellow leader's jersey, during the 2002 Tour de France. Now, there's no winner of that race or the six others in which he finished first. Declaring that they have "listened to the world's reaction to the Lance Armstrong affair," leaders of the international governing body for cycling today said that no one will be awarded the seven Tour de France titles that have been stripped from Armstrong's records because of the doping scandal surrounding the one-time superstar. The International Cycling Union's management committee said it understands that "a cloud of suspicion would remain hanging over this dark period [1998-2005] — but that while this might appear harsh for those who rode clean, they would understand there was little honor to be gained in reallocating places." The committee also called "on Armstrong and all other affected riders to return the prize money they had received."